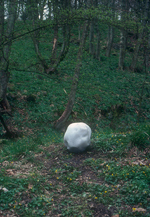 These pages make accessible a sample of entries from the Andy Goldsworthy Digital Catalogue DVD (Volume One: 1976-1986). The Digital Catalogue DVD can be accessed, by appointment, at the University of Glasgow, Crichton Campus, Dumfries. 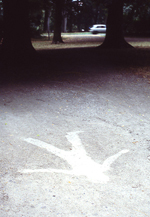 This is not an official Andy Goldsworthy website, and it is not a commercial resource. © Andy Goldsworthy. All copyright remains with the Artist.